When you visit our experts at ProSource® of Mississauga, we’ll help you and your client find the best carpet, hardwood, laminate, tile, or vinyl products for their space. Flooring can transform how a room looks, but we also make it match your client’s lifestyle by having waterproof, scratch proof, spill proof, and heavy-traffic proof flooring products. 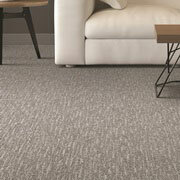 For wholesale flooring, ProSource of Mississauga is your best choice. Come into our showroom and our specialists can help identify your customer’s needs and style preferences and inspire a good flooring decision. There’s nothing quite as nice on the feet as soft carpet! No matter the colour, style, fibre, weight, or brand your client wants for carpet flooring, our designers can help find a match that fits within your client’s budget. 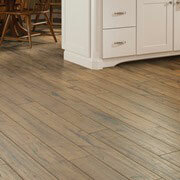 Hardwood flooring gives a space character, personality, and depth. 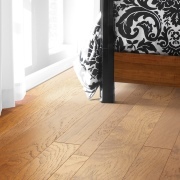 We have more than 15 wood species to choose from, and we have engineered wood flooring as an option as well. Explore our colours, constructions, and brands in our Mississauga showroom. 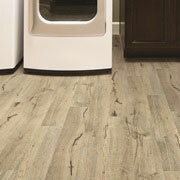 Laminate flooring can replicate the appearance of hardwood flooring while being more cost effective. To see if laminate would be realistic enough for your client, come and meet with one of our designers. Because tile is used all throughout a home remodel, it should be versatile. 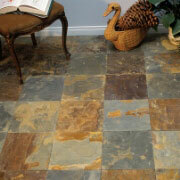 Our tile flooring options are in different colours, styles, and sizes. Get creative with it and implement unique tiles in a bathroom or a kitchen backsplash! When you visit our showroom, you’ll find luxury vinyl tile (LVT), luxury vinyl plank (LVP), engineered vinyl plank, engineered stone, and sheet vinyl as options for your client’s residential or commercial space. We're proud to serve throughout Mississauga, Ontario, as well as the surrounding areas. The ProSource of Mississauga (GTA West) showroom is conveniently located in Mississauga, Ontario and serves all of the neighboring cities including Acton, Bolton, Brampton, Burlington, Caledon, Caledon East, Caledon Village, Campbellville, Cheltenham, Dundas, Etobicoke, Georgetown, Glen Williams, Hornby, Inglewood, Kleinburg, Limehouse, Milton, Mississauga, Moffat, Norval, Oakville, Palgrave and Terra Cotta.